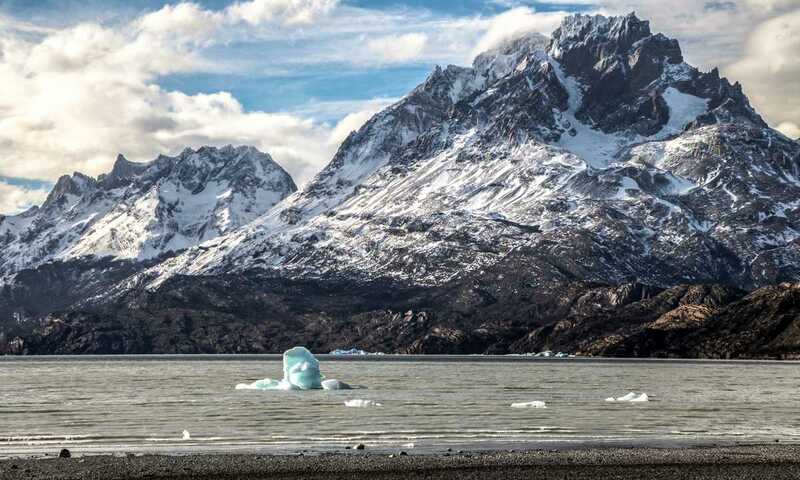 Base yourself in a comfortable, mid-range hotel on the shores of Lago Grey with views of floating icebergs and the mighty snow-capped Paine Grande. 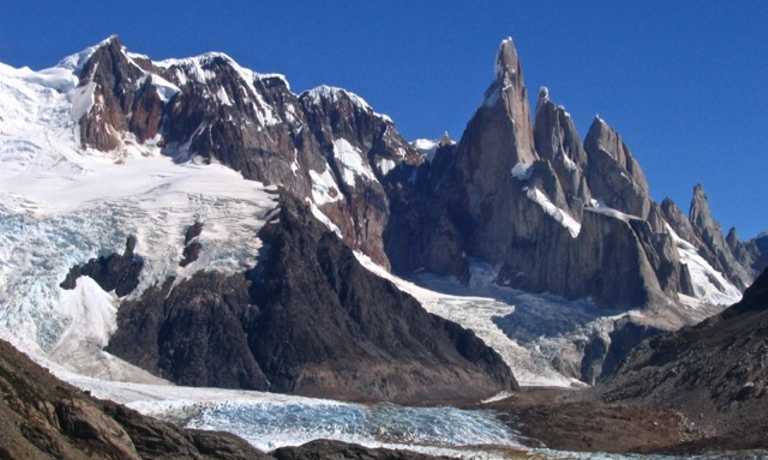 Choose from different excursions and hikes that explore the highlights of Torres del Paine in winter. We will pick you up from your hotel in Punta Arenas, Puerto Natales or Punta Arenas airport and transfer you straight to our hotel (4-5 hour transfer). Depending on the time of your arrival, you may have time for an afternoon excursion. If not you can take a gentle walk along the beach or admire the views from the hotel. 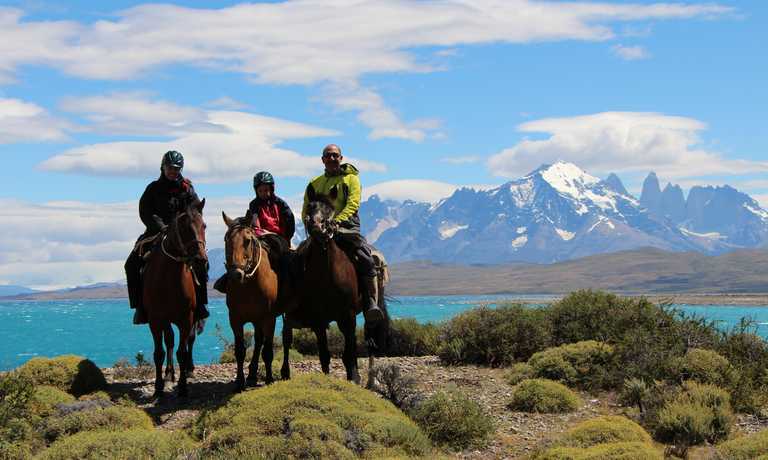 This is the recommended excursion for those who want to enjoy most of the Torres del Paine National Park in one day and without any physical effort. We will start our excursion to the Forestry Corporation Visitor Centre where we will receive general information about everything that constitutes this magnificent World Biosphere Reserve. Our trip continues towards the Salto Grande, an imposing waterfall that can be seen after a short walk and where we have a view of the Paine Grande Mountain, and can observe the highest peak of the Paine Range. Then we will go to the Lago Nordenskjöld viewpoint, place where we will appreciate this lake and we will be very close to the Horns of the Paine. Then we will head towards the Amarga Lagoon area to see the Paine River Falls, and begin to see the first panoramic views of the famous Torres del Paine. We will continue to the other end of the Park, to have a picnic lunch in Laguna Azul, a quiet and beautiful area of the park. We will return to the hotel in the afternoon after a leisurely drive back through the Park. One of the most famous hikes of the Paine trails, it is demanding, but it rewards you with the imposing view of the three granite towers. This walk is characterised by its great ascent towards the viewpoint. We climb for around 1 hour bordering the Ascencio River until we arrive at the Passage of the Winds. From here it is 30 minutes to the Chilean Camp where we can take a little break. The hike continues through the forest for another 1.5 hours, gaining height quickly with incredible views of geological formations such as crevices, fractures and granite intrusions. The last hour is the toughest, where the trail zigzags up a moraine or loose rock, being exposed to the wind and an unpredictable climate. Arriving at the viewpoint we will have the classic view of the Towers and if the weather permits we can have lunch with this fantastic landscape in front of us. The descent starts on the same trail and takes approximately 4 hours to reach the starting point, so you definitely need good knees and a solid physical condition. This excursion is hard and exhausting for those who are not accustomed to long distance walks. We will drive about 45 minutes to the parking area of the Great Fall viewpoint. From here, we start a simple trek. The landscape is of the Patagonian steppe and the burnt forests of Lengas (Nothofagus Pumilio) and Nirres (Nothofagus Antarctica), that were burnt in the fire in 2011. We arrive at a viewpoint with an impressive view of Lake Nordenskjold, with the Horns of the Paine behind in all their magnitude. Also to the left, we have an excellent view to Big Paine Mountain and to the right to Admiral Nieto. Back on the trail, we take a detour on the last stretch of our route and pass through one of the park’s main waterfalls, the imposing Great Fall. The boat trip to Grey Glacier is one of the most captivating excursions in the National Park. This 3 hour journey aboard the boat “Grey III” allows everyone to enjoy a unique combination of icebergs, forests and imposing mountains. The ship has a main cabin for 98 passengers and an outdoor deck to enjoy the outdoors. After a 1 hour navigation, we will reach the Grey Glacier front wall, the most important one inside the Torres del Paine National Park. At the present time this huge natural ice wall reaches over 25 meters high, has amazing colours and shapes and mysterious sounds that come from the inside. Return to the southern shores of the lake and enjoy a free afternoon. We start very early in the morning, leaving the hotel and walking along the Pingo River to the “Chorrillo Los Salmones” waterfall. After walking almost 1 hour and a half, we will go to the Pingo Valley, where we will be lucky enough to hike through an ancient forest full of unique trees and plants. As we advance through the forest we will have climbs and descents, which can be more difficult when it snows. As we find clearings in the forest, we will have a different view of the Paine Range. After walking between 2 and 2 hours and half hours, we will arrive at the viewpoint of the Pingo Cascade. This is a dramatic waterfall where we'll stop to enjoy lunch before heading back to the hotel. Enjoy a leisurely breakfast and transfer back to town or the airport to continue your onwards journey. This trip can run as a group trip, with prices starting from $2,106 per person for a complete group. If you are looking to join a group or you are a solo traveller we will help to form likeminded groups of travellers. Please let us know your travel plans. Departures can be set up on a date of your choice and can be lengthened or shortened. Indicative pricing is based on a 4 night all-inclusive stay, staying in a standard double room; a 4 night stay in a Superior room is USD $2,215 per person. This is an example itinerary using a selection of the most popular excursions, other excursions are available at the hotel.